Welcome to Flashback Friday! Today I have a retired paper pack and stamp set that isn’t too old… these products were featured in the CTMH Autumn/Winter 2010 Idea Book. 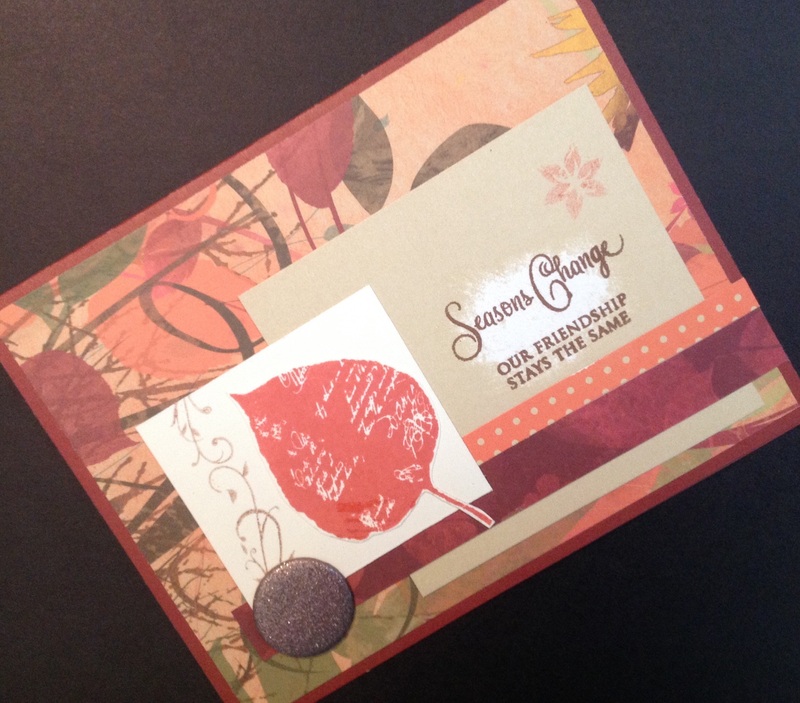 I came across a scrapbook layout and 3 cards that I had made with the Olivia Paper Packet and the “Timeless” stamp set, and since we are now into fall, I thought that this was a great time to feature them for Flashback Friday! Here is a closer look at one of the cards. I just love the beautiful fall colors of these papers! And, of course, the stamp set is a perfect fit for the season. CTMH has always had wonderfully coordinating papers and stamp themes! It’s hard to tell from the pictures, but the large buttons on the front of those cards are very glittery, adding just the right amount of sparkle to these projects! 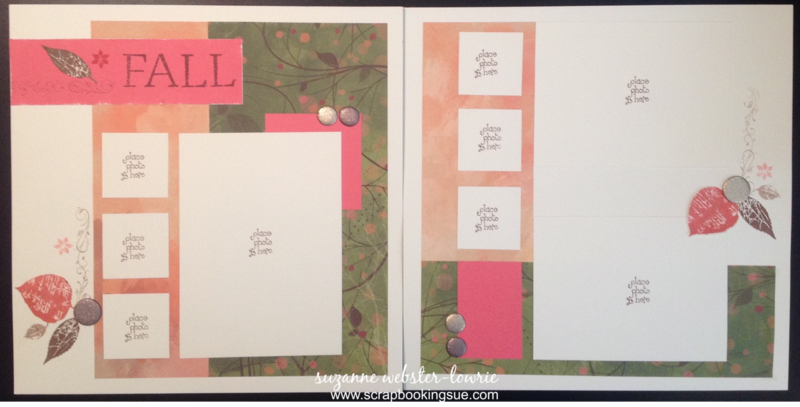 Here is a double-page scrapbook layout made with the same papers and stamp set. Welcome fall! Would you like to see the current fall-inspired CTMH papers? The current fall papers and coordinating accessories, can be found here.